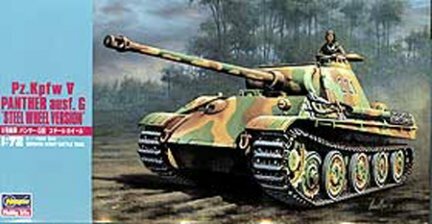 The German Panther tank was designed in response to the appearance of the Russian T-34 which seriously challenged the existing German tanks. 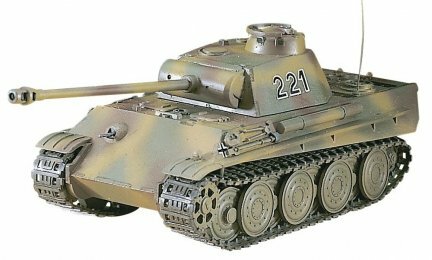 Like the T-34, the Panther had a long barrelled L/70 70mm gun, large road wheels, and sloped armor for better protection. This version had the late style steel road wheels designed to reduce the need for rubber which was in short supply.